[V Report Plus] Who is Park Bo-young’s biggest fan? 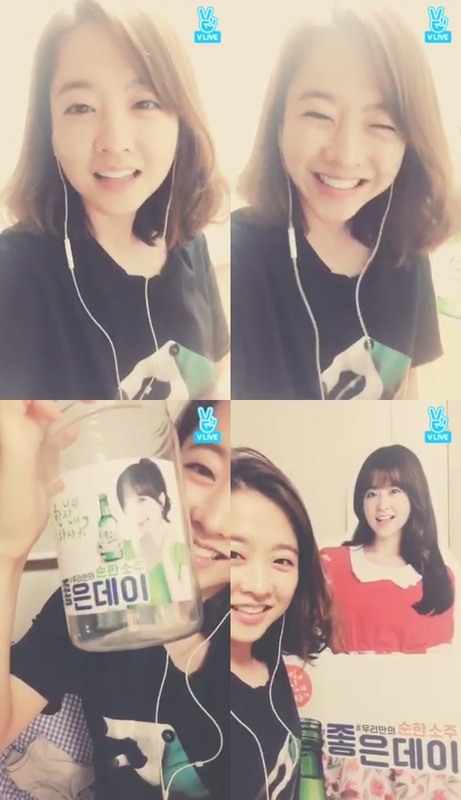 Park Bo-young said her family members are her biggest fans in a live broadcast held via Naver’s V app Saturday. On Saturday’s broadcast held in her sister’s house, the actress revealed how much her brother-in-law supports her. “My brother-in-law got this from a restaurant because it has my face on it,” she said showing a water bottle. Then she moved on to her life-sized panel. “My brother-in-law got this from a restaurant,” she said. “It was winter. He was drunk and was worried as I (the panel) was working outside in the cold. He thought I’d be tired as I was standing up and he should bring me home,” she said. “His friends asked him, ‘Are you serious?’ but he really brought it home. When he arrived at home with it my sister put it on the veranda but he said, ‘She will feel cold. No’ and brought it inside the house,” she said.